The election campaigns always brings number of situations for journalists and media. In a survey conducted during the campaign for the presidential elections in Montenegro, in March / April 2018, through following the work of 12 media, we looked more closely at several concrete examples of how journalists and the media in Montenegro relate to the profession’s ethical standards during elections. We have looked at elements of hate speech in the performance of political actors. The case analysis is based on interviews with interlocutors who have journalistic and editorial experience or they are media ombudspersons. Our interlocutors were: Agron Bajrami, editor in chief of the Koha Ditore daily, Chris Elliott, the Ethical Journalism Network director, former Guardian’s executive editor and ombudsman, Nikola Marković, deputy editor in chief of the Dan daily, Vladan Mićunović, TV Crna Gora director, Sanja Mikleušević-Pavić, the Hrvatska Televizija journalist, former editor of the Hrvatska Televizija news program and Ilinka Todorovska, the protector of the rights of viewers and listeners of RTV Slovenia. The main recommendations resulting from that consideration relate to the importance of the accurate and authentic informing, because the public has the right to know. 1. That is why the election campaign statement containing hate speech needs to be conveyed, and imme­diately and unavoidably media need to point out to the context and facts that are important for the problem. 2. „The silence“ can be understood as approving the hate speech. What is said needs to be explained and investigated – facts and context, and reaction or commentary and view of editorial staff is necessary. 3. The editorial staff must be the second line of defence if the journalist who reports or the host fell short of it. 4. The importance of good preparation for the journalistic task is emphasized, because it makes the journalist or host able to predict outcomes and prepare ethical approach. 5. The content should be approached carefully and if needed, use expert assessment as a means to resolve the dilemma on content that could be hate speech. 6. At the same time, it is needed to pay attention to political actors who use ele­ments of hate speech with intention to provoke reaction and use media for further spreading the information for the purpose of „self-advertising“. The research was conducted within the project RESPECT – Advancing Respect for Ethical Standards by Media and Respect for Ethical Media by Citizens. 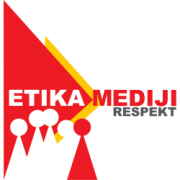 The project is implemented through partnership with the Peace Institute from Ljubljana and the Ethi­cal Journalism Network from London and funded by Delegation of European Union to Montenegro. The author of the research is Pavle Pavlović, researcher of Montenegro Media institute. Methodological guidelines and mentoring during this study was provided by Brankica Petković from the Peace Institute. The research is available at this LINK.